Among the most beloved producers of Louisiana-made goods is the Walker family of Ville Platte and their Slap Ya Mama brand. The Walkers started Slap Ya Mama in 2001, building their empire on Cajun seasonings, sauces, and mixes. 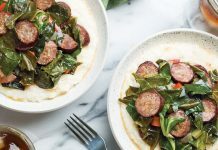 Their debut cookbook, Growing Up Cajun (83 Press, 2018), is a collection of family recipes and stories, including how Slap Ya Mama got its start. It began when Jen Walker, the matriarch of this family business, became dissatisfied with the seasoning used in their family store’s deli. Jen and her husband, TW, began making their own blend, which was such a hit that customers wanted to buy it. The rest is history. Slap Ya Mama still has some of the most dedicated customers in Louisiana and the Southeast. Over the years, the company’s increasing popularity inspired many fans to request recipes from the Walkers. 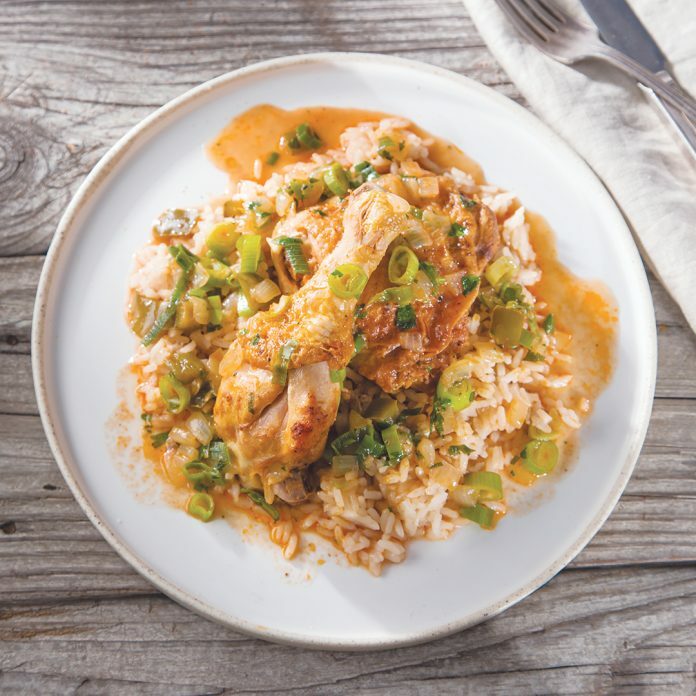 “We wanted to make a cookbook that could explain what it’s like to grow up in Cajun culture but also share the flavors of Louisiana and all that we have to offer here,” says TW and Jen’s son Jack Walker, Vice President of Marketing for Slap Ya Mama. The book gives readers an inside look at Slap Ya Mama’s journey thus far. Moreover, it provides a glimpse into the Cajun way of life. Many of the recipes in Growing Up Cajun come straight from the Walker family collection, including Mama Jen’s Cajun Cornbread, Maw Maw’s Pecan Pie, and Chicken Sauce Piquante, a recipe that inspires nostalgia in Jack. Altogether, the cookbook contains more than 75 recipes that highlight Slap Ya Mama products in appetizers, soups and salads, sandwiches and po’ boys, entrées, sides, and desserts. Additionally, Mama Jen offers tips and tricks along the way to keep you cooking in Walker family style. 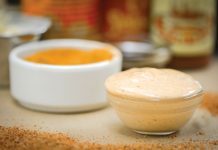 Season chicken with 2 teaspoons Slap Ya Mama Original Blend Cajun Seasoning and Slap Ya Mama Cajun Pepper Sauce. In a 4-quart stockpot, heat oil over medium-high heat. Add chicken; cook until browned on all sides. (Don’t be afraid to burn the chicken a little or for it to stick to the bottom of the pot. This is where the gravy will come from.) Remove chicken from pot. Add onion, bell pepper, garlic, and just enough water to cover bottom of pot (about 1 cup); sauté until vegetables are softened. Add tomato sauce; sauté for 10 minutes. Add broth, cream, mushrooms, and remaining 1 tablespoon Slap Ya Mama Original Blend Cajun Seasoning; sauté for 5 minutes. Reduce heat to medium; return chicken to pot, and fill pot with water just to top of chicken (about 1 quart). Cover and boil, stirring occasionally, until chicken is tender, about 1 hour. Reduce heat, and uncover; stir in green onion and parsley. Simmer for 10 minutes. Serve over hot cooked rice. 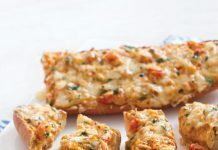 I am going crazy with all the good recipes I am from New Orleans now lively is Massachusetts.the food here is not good sorry to say.we still cook our food like back home,i use Louisiana seasoning thank for posting these recipes I give them to my friends..